Humans are made up of 60% water, making it an essential part of our diets. Drinking water can decrease bloated, help with skin issues, aid digestion, and much more. Watermelons are 91% water and can help you stay hydrated while testing better than water! Lycopene is a type of carotenoid that gives tomatoes and watermelon their red color and doesn’t transform into vitamin A. It has been linked to several different health benefits such as cancer prevention, eye health, bone strength and brain performance. Citrulline, an amino acid found in watermelon is able to reduce muscle soreness, and can be taken in supplement form. 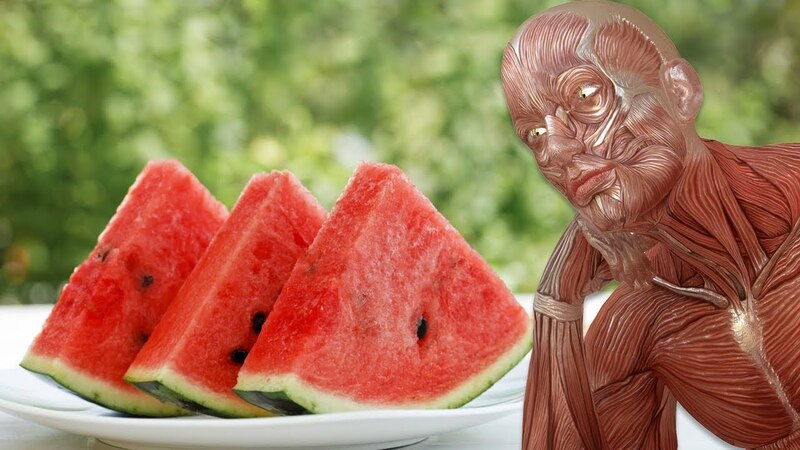 Interestingly enough, watermelon can help your body absorb citrulline better. It’s found especially in the rind and seeds, so adding those to your smoothies can greatly increase your intake of this amino acid. Inflammation is the main issue with most chronic diseases we suffer from. Watermelon is rich in anti-inflammatory antioxidants such as lycopene, vitamin C, or even tripterpenoid, a pain reliever. All of the beneficial compounds found in watermelon help different areas of your body, specially your heart. This is due to the fact that that some nutrients such as citrulline and arginine lower your blood pressure.